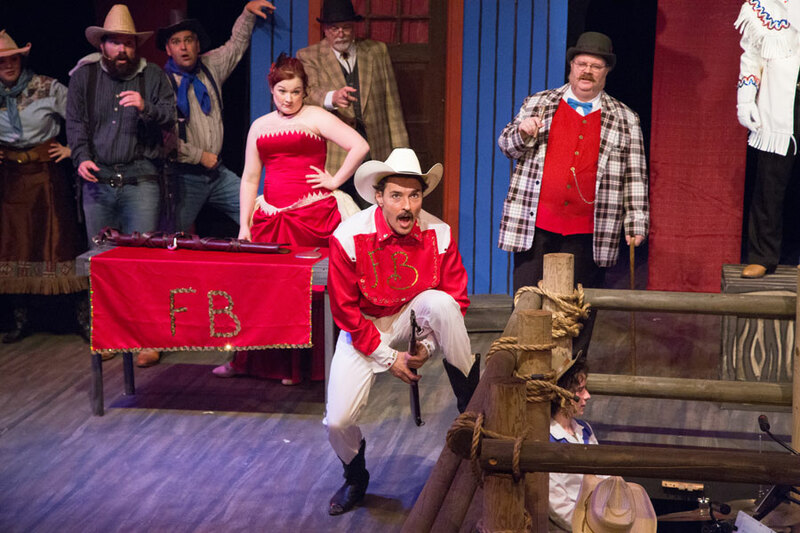 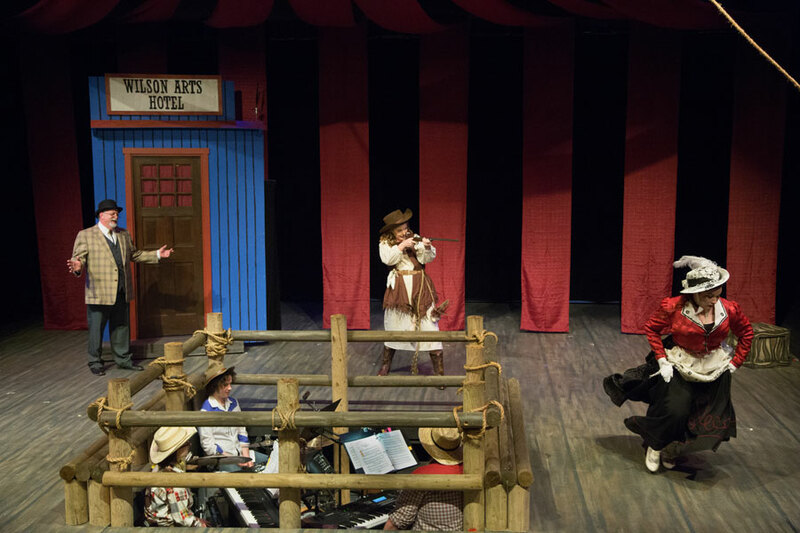 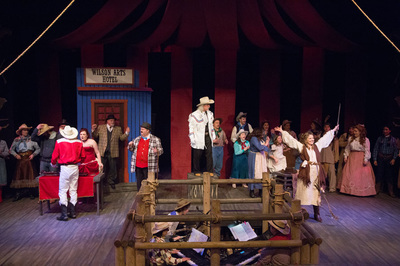 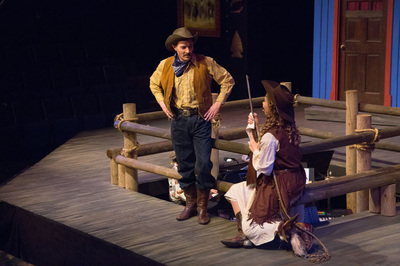 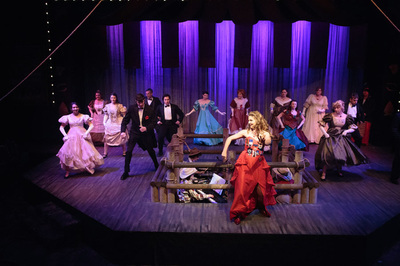 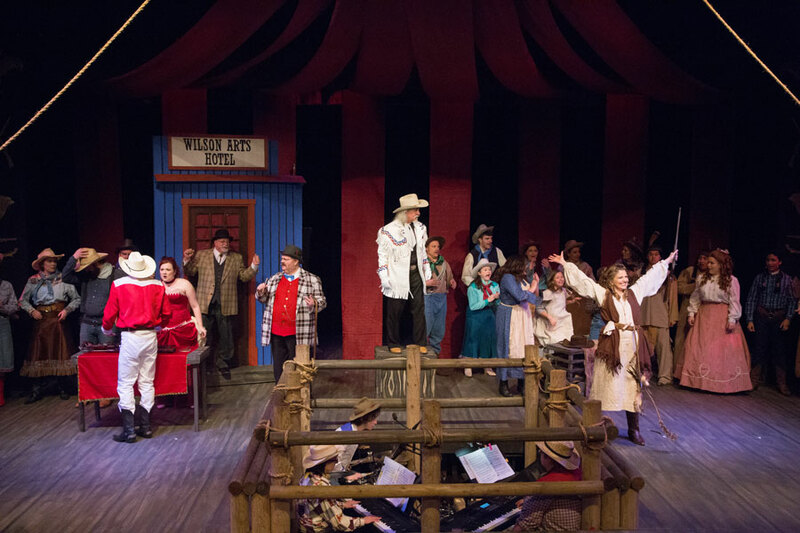 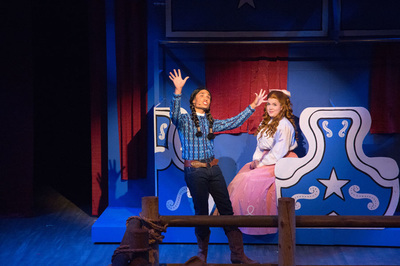 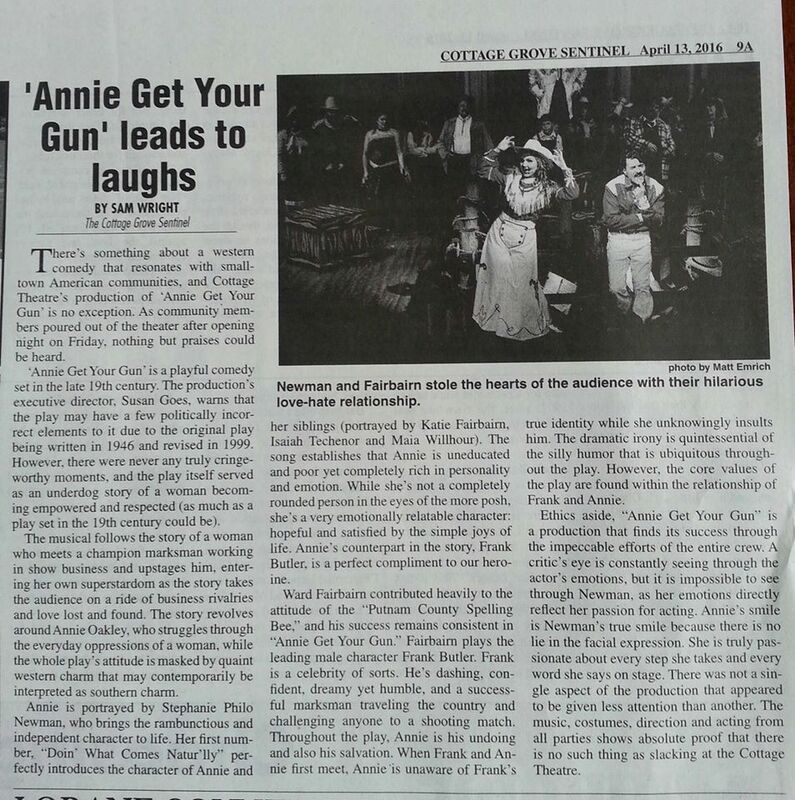 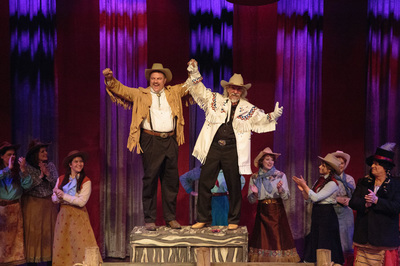 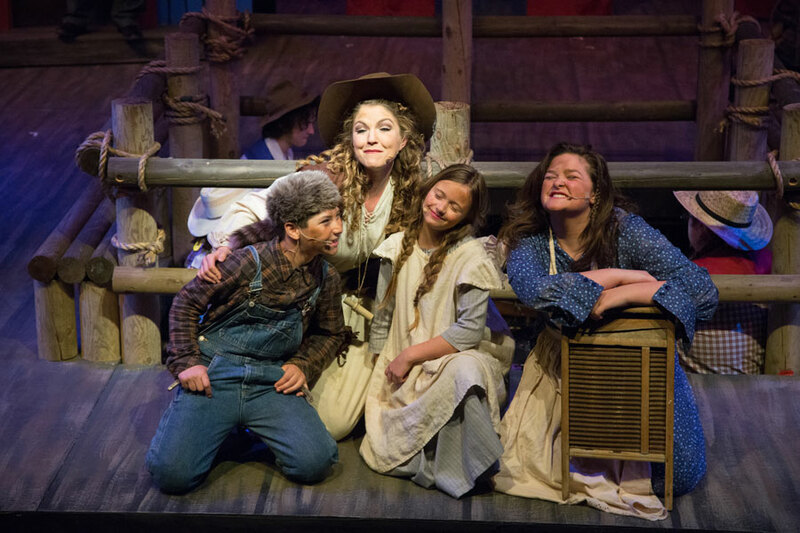 Annie Get Your Gun is presented through special arrangement with R & H Theatricals: www.rnh.com. 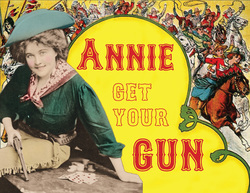 Maybe “you can’t get a man with a gun,” but that sure doesn’t stop Annie Oakley from trying. Irving Berlin’s ever-popular musical, as revised in 1999 by Peter Stone, tells a fictionalized version of the life of sharpshooter Annie Oakley (1860-1926). Stone reshaped the original 1946 classic to create a Wild West show-within-a-show that frames the ageless Anything You Can Do I Can Do Better love story of Annie Oakley and rival marksman Frank Butler. 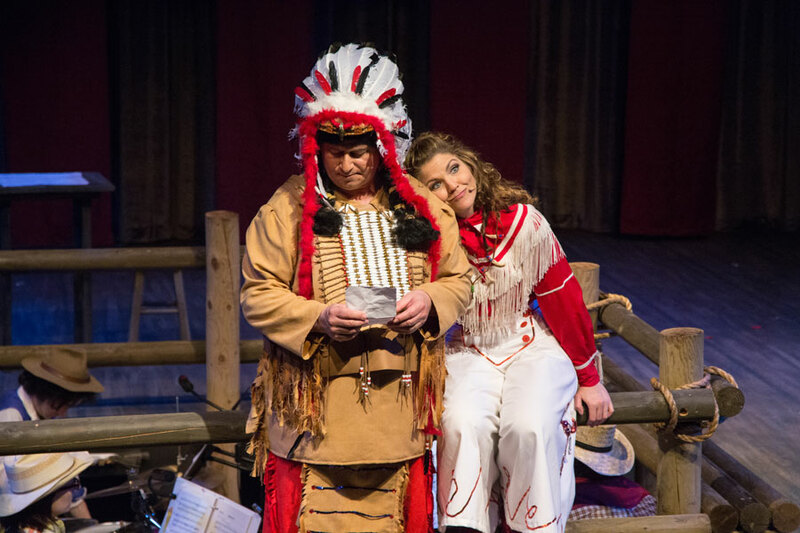 “The book has been updated in ways that pass p.c. muster,” reported Time Magazine, “without losing all the fun.” Wedded to the new book, of course, is that amazing Irving Berlin score, featuring hit after hit after hit, including that enduring favorite, There’s No Business Like Show Business.